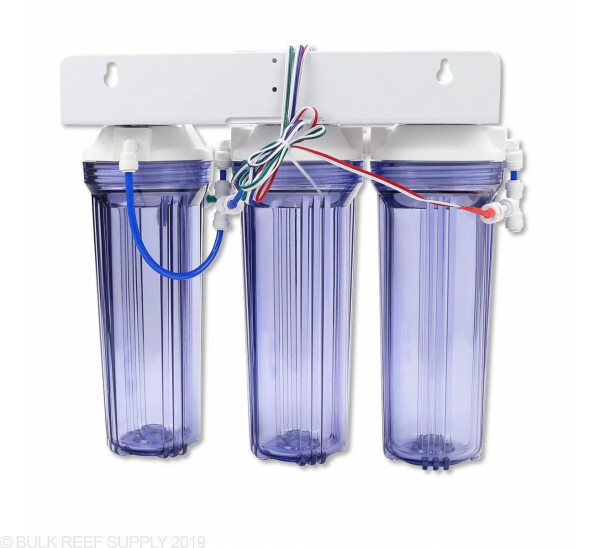 Perfect for reefers that use a lot of DI resin! 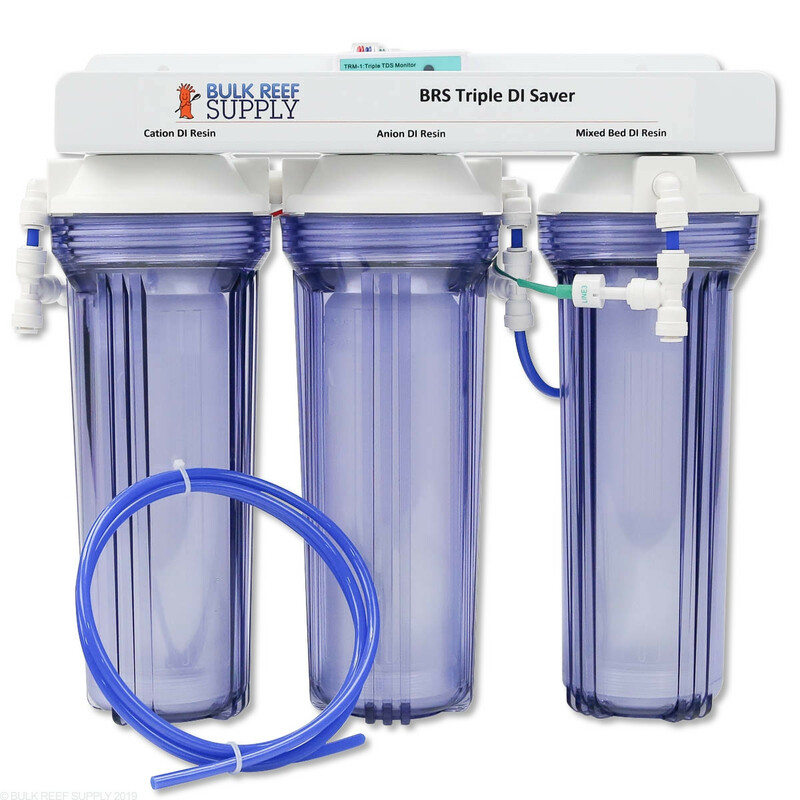 Triple Deionization Saver canister kit complete with HM Digital Triple Inline TDS Meter! Just add DI resin. We suggest using BRS Pro Series Single Bed Cation Resin, Pro Series Single Bed Anion Resin, and Pro Series Mixed Bed Cation Color Changing Resins. The final stage containing the mixed bed resin can be swapped for a mixed bed anion resin. We suggest starting with cation resin and waiting to see which single bed resin becomes exhausted first, and then when needed, change the mixed bed resin to match the ionic charge used first. 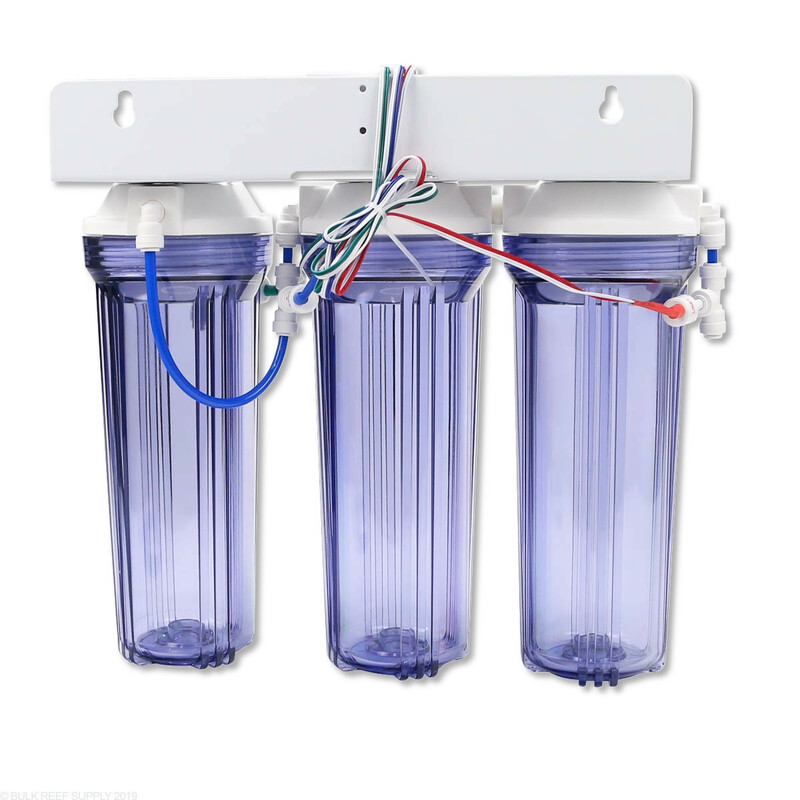 Three Single Cartridge Refills of Deionization Resin - We suggest Pro Series Single Bed Cation, Pro Series Single Bed Anion, and Pro Series Mixed Bed Cation deionization resins. I had a standard 5 stage and upgraded to a 7 stage triple DI powerhouse with this kit. It gives me a lot of savings and control in my automated top off system for my 220 Gal setup. Quality parts, and easy to use. Great accurate readings from the triple TDS meter too. there is no need to read TDS after the Cation stage as it will give inaccurate readings due to the + nature of the ions leaving the resin. To note I did not experience the same issue with the "nylon union" as SGT HAROLD stated. I took my time and didn't overtorque the fittings, and the containers haven't had an issue yet. If you use a lot of DI resin, it's worth every penny. 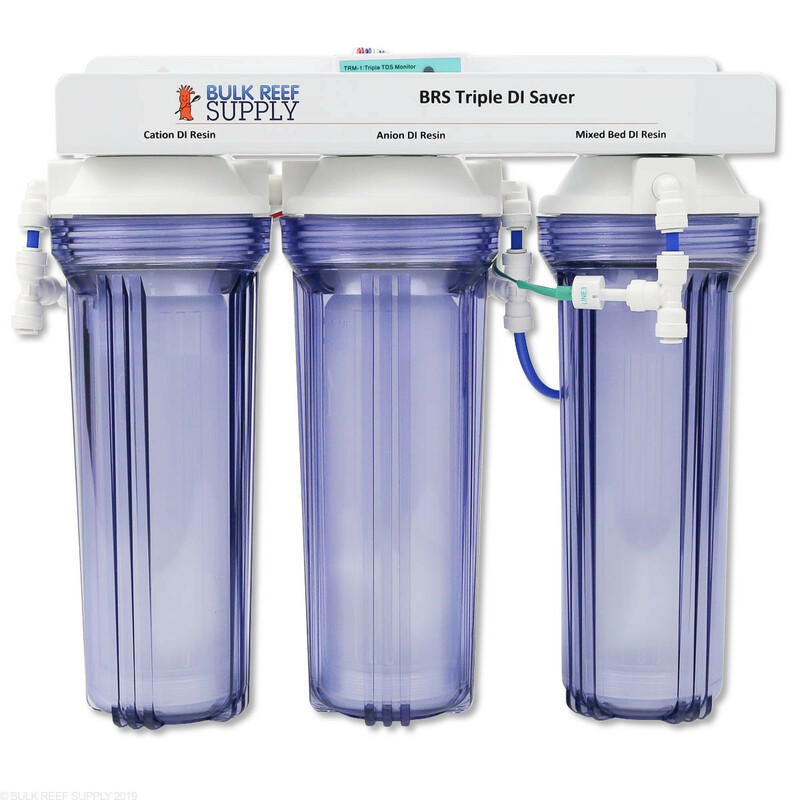 If you have an issue with your product, BRS will fix it for you. They are great. Call them or email them. They are there for you. Does this include the internal cartridge that the di resin goes in to? 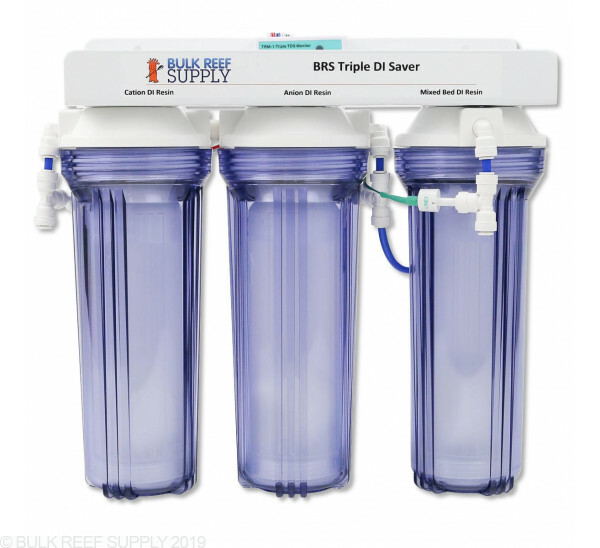 The BRS Triple DI Saver does include the refillable cartridges. All you need to add in an RO system and your favorite DI resin! 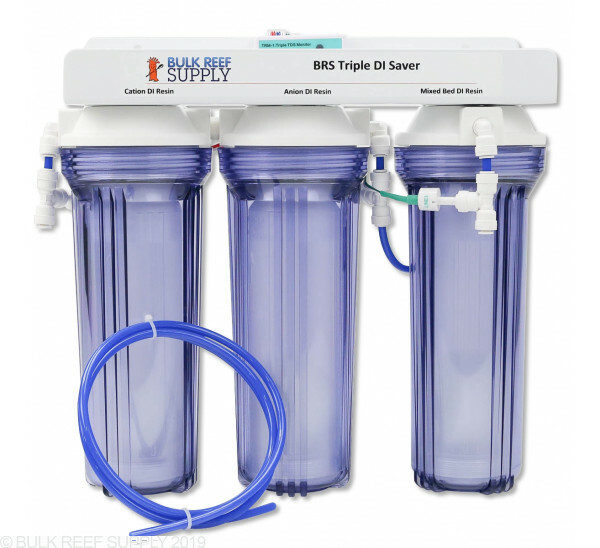 Can you send me instructions for installing the Triple DI Saver Kit to my 4 stage 75gpd rodi system. My plan is to make the DI stage on 4 stage a carbon block chamber. Thank you and Happy New Year BRS! Here is a great video that shows how to upgrade your 4 stage system to a 7 stage system. Have a great day!